Since graduating with her BFA from the University of Kansas in 2010, Alicia Kelly has been covering Lawrence with her cut and sculpted artworks. Her recent projects include installations at the Lawrence Arts Center and the Lawrence Public Library. 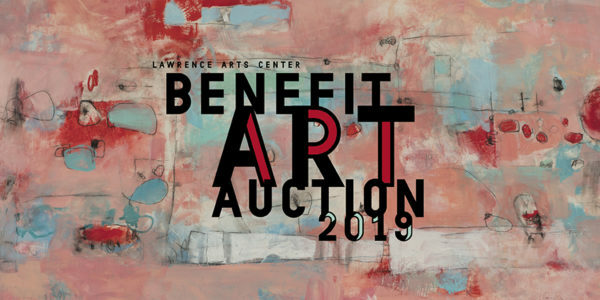 Kelly’s two works available in the Lawrence Arts Center Benefit Art Auction come from a series of smaller cut paper pieces in which she explores the possibilities of three-dimensionality in two-dimensional artworks. By mounting the monochrome paper of An Entanglement of Tangles away from the frame, Kelly incorporates a play of light and shadow into her art. As light filters through the cut surface of the paper, shadows are cast on the rustic wood frame, prompting memories of a dappled forest floor, sunlight streaming through branches onto fallen trees. In Invisible Textures, Kelly further explores the possibility of creating three-dimensional effects with a two-dimensional sheet of cut paper. By letting the paper bulge and twist around her cuts Kelly creates a textured surface breathing with an imagined life. 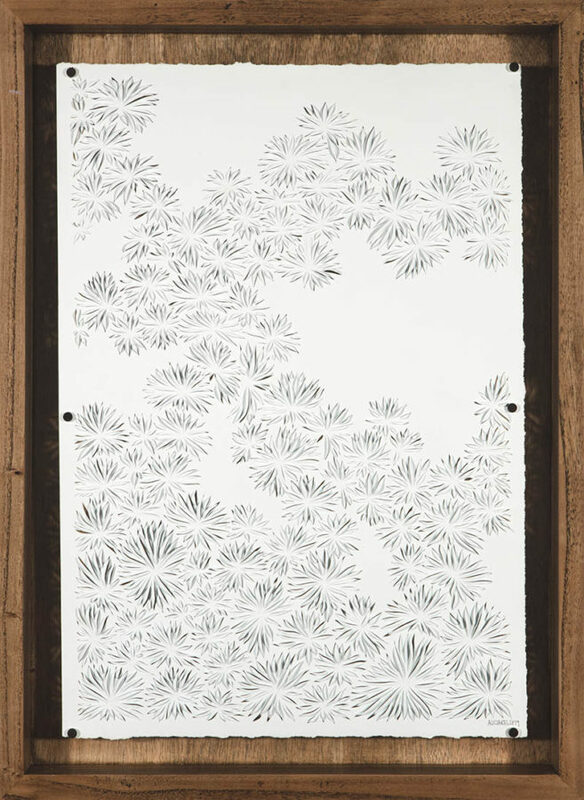 Before starting a new piece, Kelly imagines the design she desires to achieve, but instead of laying out the plan on paper, Kelly creates the design freehand, allowing herself to get lost in the meditative practice of cutting the paper. This creative process results in meandering trails of open shapes in the paper, leaving some areas pristine and untouched by her cuts. 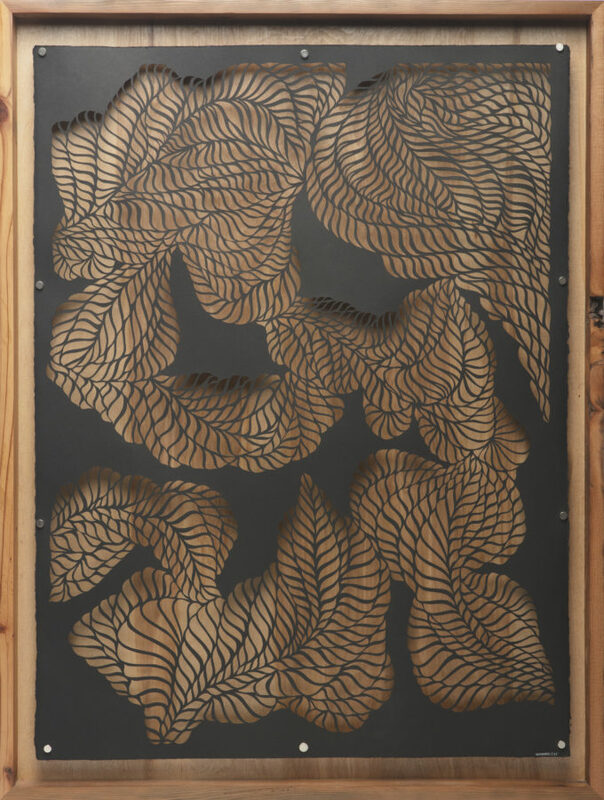 The contrast between the cut and uncut portions creates a space for the viewer’s eye to rest between explorations of the intricate floral patterns.